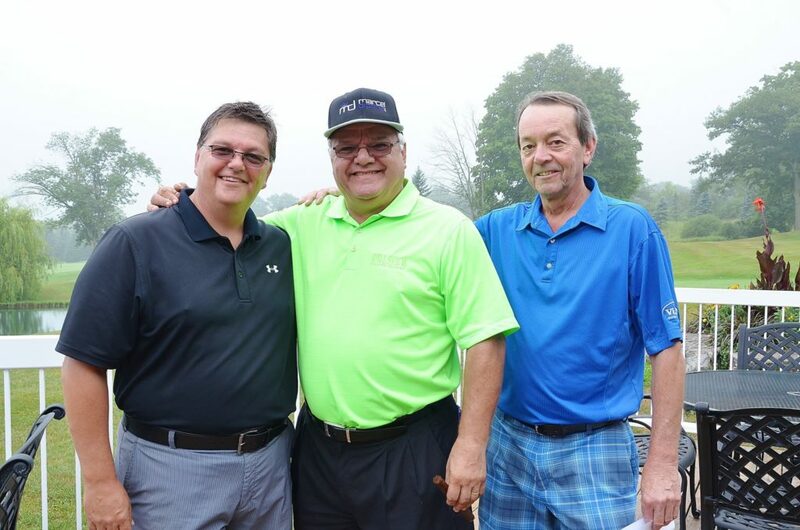 Over the years, Garry and Lori Hook and their team at Master Mechanic Whitby, have helped organize over 10 charity golf tournaments donating close to $100,000 to various charities; the main recipient being Camp Trillium, a camp for kids with cancer. This year they were pleased to host a “reunion” tournament on August 13th, 2016. Our 2016 Master Mechanic Whitby ‘Charity Golf Tournament’ was held at the Heather Glen Golf Course and began with a shotgun start at noon. Although the weather did not cooperate and the tournament was rained out after 5 holes, it did not dampen the spirits of our golfers. 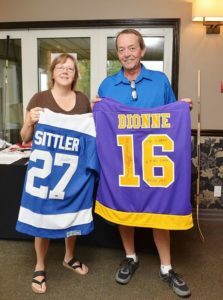 With special guest, Marcel Dionne in attendance along with many of our valued customers and business associates, the tournament was still a great success. Everyone involved in the event came to the tournament ready to give, loaded with non-perishable food, gift cards, diapers and other products for Feed the Need in Durham which were then transported to Whitby’s St. Andrews Community Outreach and Support Program. After the donations were collected the celebration continued with the tournament prizes awarded and a delicious dinner served by the gracious staff at Heather Glen. At the conclusion of the day, Master Mechanic Whitby raised well over $7,500.00 which will be used to provide the basic necessities to children and families who need them. Carquest Canada also presented a cheque to the Outreach Program for $1,500.00 and we thank them for their generous donation. This together with other funds raised throughout the tournament, will be used to purchase additional food and dry items through LaRosa’s No Frills in Whitby. We would like to thank all the donors, volunteers, and participants for a wonderful day and this fantastic result. We hope to see everyone again soon!